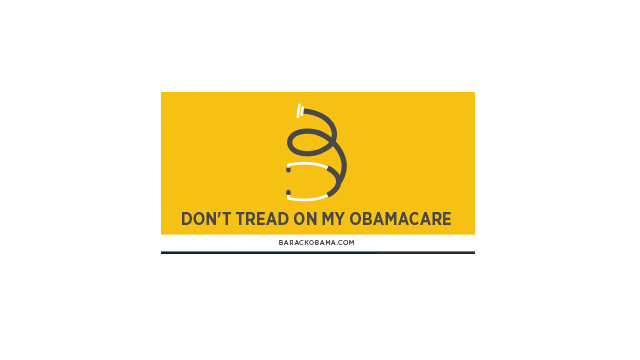 Washington (CNN) - So what do some leaders in the tea party think about a group that supports President Barack Obama's agenda using a key symbol of the grassroots conservative movement to advocate for the health care law? "Imitation is the highest form of flattery and in this case, it is no different," Amy Kremer, chair of the Tea Party Express, one of the largest and most politically active national tea party organizations, told CNN. Washington (CNN) – Thousands of Democratic activists are going to hit the streets Saturday trying to register voters-and at the time same help the Obama re-election campaign increase its roster of potential supporters. Across the nation volunteers from the Democratic National Committee's Organizing for America (OFA) effort will be both helping new voters register and make sure others' information is up to date. In addition this effort will help bolster the re-election campaign's list of potential supporters when they ask people to sing "I'm In" pledges, one Obama re-election campaign official told CNN. 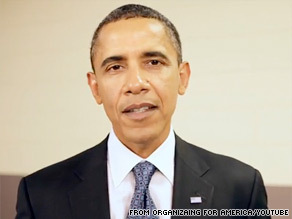 Organizing for America is out with a new video featuring President Obama. Washington (CNN) - President Obama makes a direct appeal to political supporters in a new campaign video, asking them to open up their wallets and donate their time to Democratic candidates running in the midterm elections. Obama speaks directly to the camera in the 3 minute and 48 second video that was sent late Tuesday night to 13 million people who are on Organizing for America's email list. 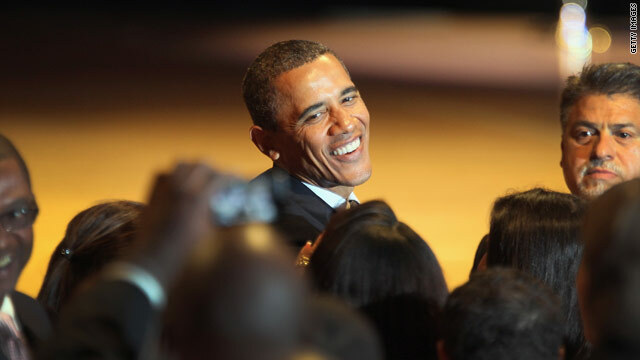 OFA is Obama's presidential campaign organization that is now housed at the Democratic National Committee. "I need everybody here to step up their game," Obama said in the video that was filmed in the backstage hallway of a political event Monday in Philadelphia. "It's not going to be enough for you to just to go to the polls. We've got to have the same energy. We've got to have the same enthusiasm. I need you guys to make those phone calls, to knock on those doors, to volunteer for candidates, to write whatever checks you can in small donations that can contribute to these folks." Organizing for America is fundraising off of the news that Fox News’ parent company gave a large donation to the Republican Governors Association. (CNN) - Organizing for America, President Obama's political organization that is now run out of the Democratic National Committee, sent a fundraising email to supporters Thursday that highlights a $1 million donation from News Corp. to the Republican Governors Association. News Corp. is the parent company of Fox News, an organization the White House has sparred with in the past. In October, White House Communications Director Anita Dunn said, "The reality of it is that Fox often operates almost as either the research arm or the communications arm of the Republican Party." That sentiment was echoed in Thursday's fundraising email. 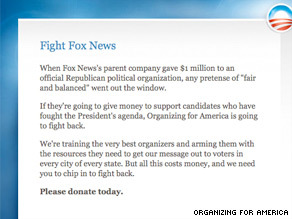 "News Corp. - the parent company of Fox News - just donated $1 million to the Republican Governors Association, an official organization campaigning against Democrats all over the country this fall," Organizing for America director Mitch Stewart said in the e-mail. "It's one thing to echo Republican talking points and hire Sarah Palin for political 'analysis.' It's another thing to cut those Republicans a seven-figure check to fund their attack ads and robo-calls."